Are you a Dalhousie student, staff, or faculty hesitant to cycle alongside vehicles in the city? 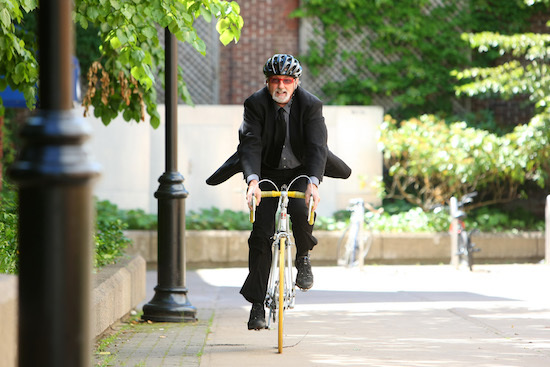 Every spring Dalhousie's Office of Sustainability offers a workshop on how to cycle safetly in the city followed by a safety ride through campus. Stay tuned for information on the 2019 Bike Week event. Bike rentals are available through the Dalhousie Bike Centre. For more information about active transportation visit our SmartTrip page.